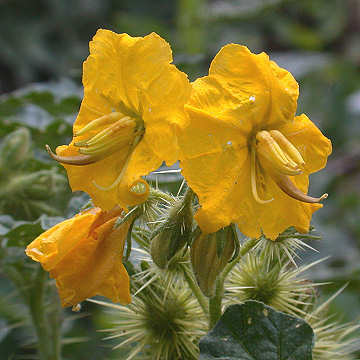 Buffalobur Nightshade (Solanum rostratum) is a member of the nightshade family (Solanaceae) that is native to the Great Plains. It has been introduced, presumably accidentally, well outside its native range. 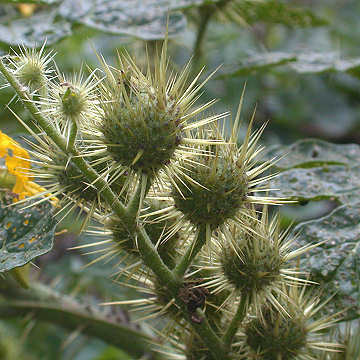 The plants shown here were recently found in Onondaga County, NY. 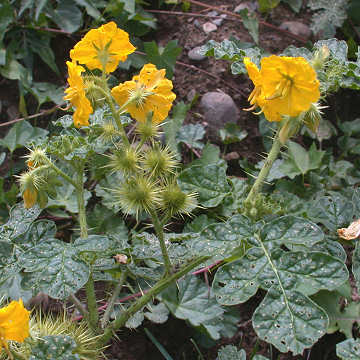 It is a somewhat attractive plant in flower but the stems and calyces are covered in stiff spines. Plants have a spreading habit. 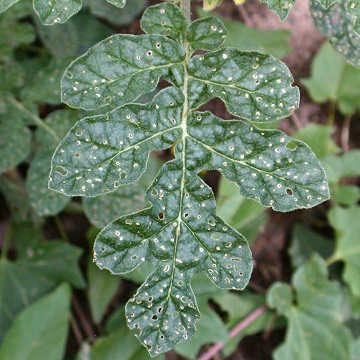 The leaves are deeply pinnately lobed. This species is in the same genus as potato and is vulnerable to damage from the same insects. Seeds wanted in Europe. Is anybody able do sell them? I believe this is the native host of the Colorado potato beetle. Settlers planting cultivated solanum as they moved west gave the beetle a “green bridge” to expand its range across N America.